Tropical pitcher plants come from Asia and Indonesia, and are a wonderful conversation piece, especially when grown in a hanging basket. Nepenthes ventricosa is no exception! Each leaf forms a tendril on the tip, which gives rise to a beautifully sculptured pitcher on the end. 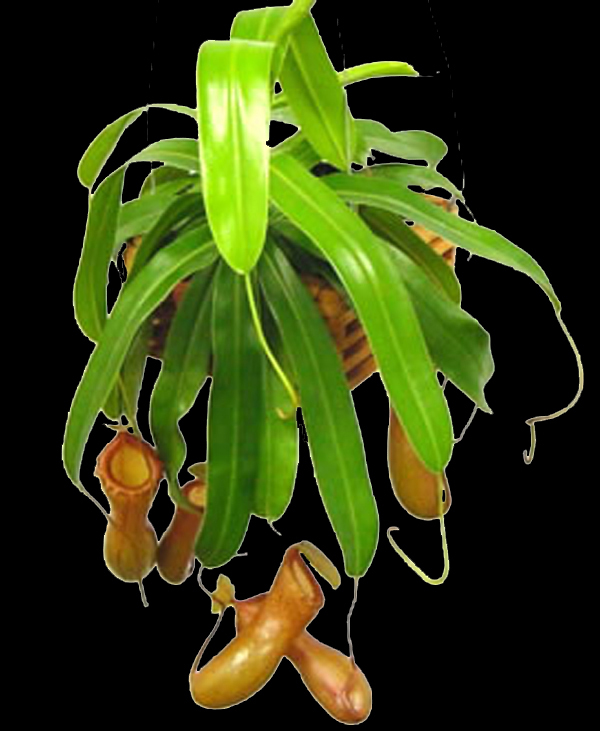 The pitchers of this species have a beautifully scalloped peristome (lip), and turn a beautiful reddish color as they mature as well. Adult plants can be over two feet across! These plants average 3 to 6 inches across, and some are even a bit larger right now. Shipped potted in 4-inch pots, ready to grow. Just add water! Please note: some of these discounted plants may have gotten a bit sun-scorched earlier this year, and may not have perfect leaves/traps. Plants are sold as is, and will not be warranted unless dead on arrival.